I know there are quite a few pug-lovers who lurk around this blog, so here’s a little something just for you! 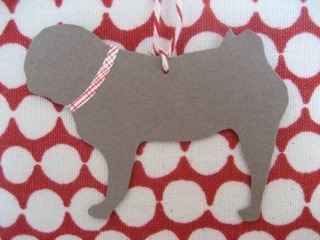 Puggy gift tags! Liz was inspired by these cute birdy ones at wrenandchickadee. She made one for a friend, and then was inspired to make more because they are such fun to make! 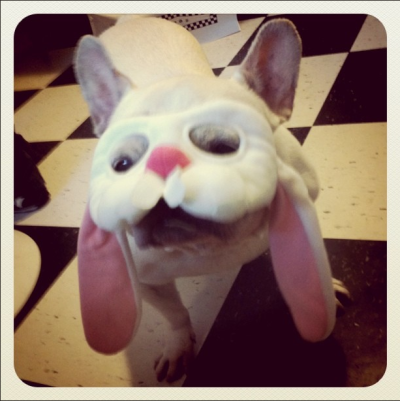 Frenchie ones are in the works, of course, but these are available now in my etsy shop. I also thought we should give a set away just for fun! So, if you leave a comment below, I will use the randomizer to pick a winner on Friday. Oh me me ME! Those are adorable. Now really though…did Liz make those or did YOU make those, Henri?! oh i love your pug tags! Those are sooo cute, Liz! I checked out the site you sent me, it’s so cool! I hope you’re feeling great! Give Henri a hug from me…. look! henri repeats is in an etsy storque article!